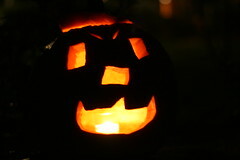 This year, I fell ill before carving my yearly jack-o-lantern (see 2009, 2008, 2007 and 2006), but we did attend the ultimate Halloween party, with count them, SEVEN, jack-o-lanterns. 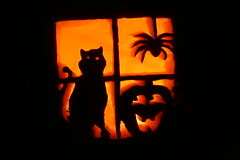 With that many expertly carved jack-o-lanterns from one family, no one can call me an overacheiver. 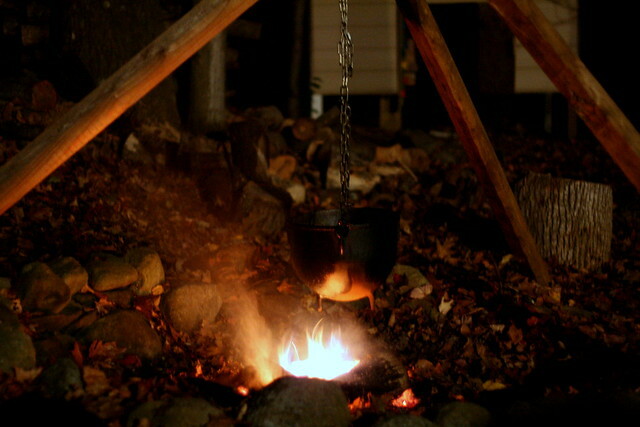 But the highlight of this party is the ghost chili, cooked in a cauldron hanging over a fire pit. I first experienced this awesome cauldron chili last year, but this year, I actually went home in the middle of the party so I could retrieve my camera. 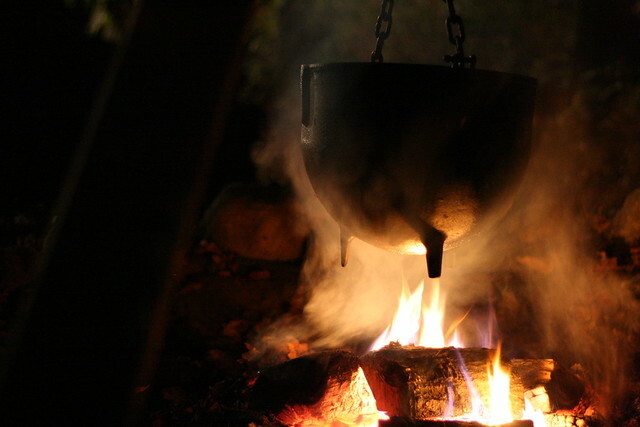 It is a most awesome experience, with the warmth of the crackling fire, and the aroma of the smoke and chili. Mmm, delicious. 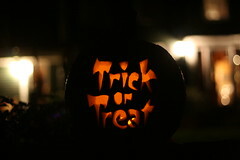 Hope you all had a great Halloween! 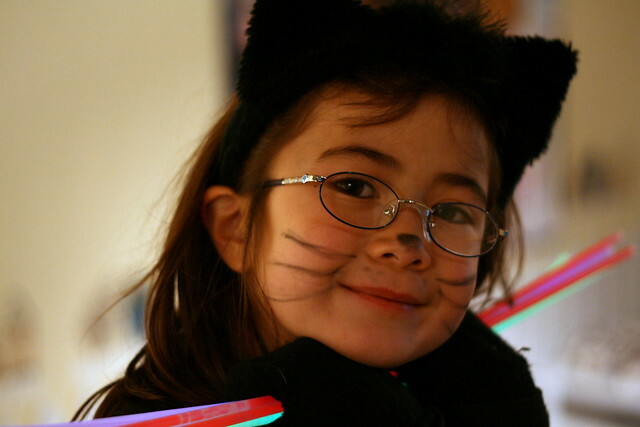 She's adorable! Nice cauldron, too. 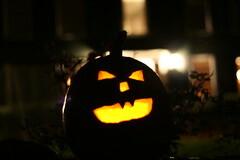 I enjoyed so much of your Holloween blogHer. Dova is cute. 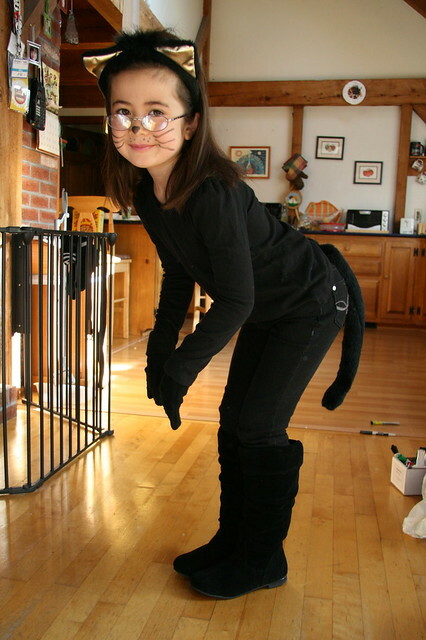 I am longing to have a big hug to my adorable blackcat. I loved the black tail, so vibrant full of energy. 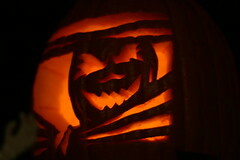 Then the Jack-o-lanterns, you are very artistic in carving. 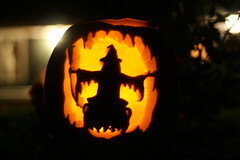 I wonder if you would like to pursue more of your carving talent. 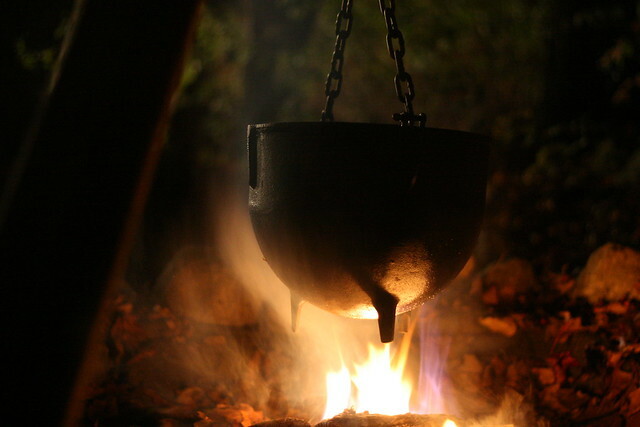 Then, the mysterious cauldron, I feel like it is from a fiction world, but different from the Harry Potter,s cauldron. Your photo image highlights the mystery or was it really chili? Wow - cauldron chili?? That's impressive. 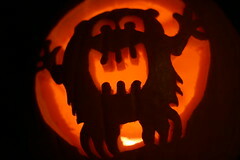 And the pumpkins are awesome. But Dova, however, is the cutest! !